This is “Part 1” of a two-part series: a buy-side perspective on why investor meetings chronically falter. Thousands of small-cap investor meetings happen annually. CEOs, investment bankers, and IR professionals often think the meetings went great, whereas investors routinely think the opposite. What accounts for such a costly, dramatic disconnect? For the first time ever: an unvarnished buy-side perspective. After meeting with a company, institutional investors have no incentive to provide thorough, candid reactions to investor presentations. Instead, investors typically let relevant parties know whether a company is interesting or not, for a handful of boilerplate reasons. The result? Blunt, detailed buy-side observations rarely get shared, outside of conversations between portfolio managers. Companies are exasperated that seemingly positive meetings don’t bring about the desired result – stock buying. And the beat goes on. But it doesn’t have to. Audience: It’s commonplace for small-cap CEOs to know very little about the investors they are meeting with. When investors quickly ascertain that the CEO has no idea who they are meeting with, investors often think: (1) this CEO is poorly prepared and unprofessional; (2) this CEO has no idea how the capital markets work, which makes me wonder who is going to buy my stock when I’m ready to sell; and (3) I wonder if the CEO is this unprepared for all of their business meetings. Memo to CEOs: you should expect your investor relations professionals to prepare detailed information about the majority of institutional investors you’re meeting with; if they do not, consider asking why. It is worth noting that high net worth private investors can be more difficult to find information on, particularly on short notice. Attire: Depending upon the industry, and the part of the country, what constitutes “business attire” can vary materially. From a buy-side perspective though, the expectations for public company executives have never changed. No matter what your colleagues, board members, or service providers tell you, public company CEOs and CFOs should default to wearing a suit when meeting with investors. Why bother talking about this? It’s shockingly common for small-cap management teams to show up for investor meetings looking like they are meeting a friend at Starbucks. Be advised that when investors meet with CEOs and CFOs who aren’t appropriately dressed, are disheveled in some way, or otherwise have poor personal hygiene, investors are going to have the same takeaways: this person is not successful, they show poor judgment, and they lack integrity. Not enough small-cap executives and service providers understand that institutional investors routinely rule out making investments within a moment of meeting management. A note re service providers: the foregoing comments regarding attire are 100 percent applicable to IR professionals and investment bankers in attendance at investor meetings. That is, when they are inappropriately dressed, disheveled, or have poor personal hygiene it reflects poorly on your company (in addition to them/theirs); i.e., investors will notice. Accordingly, it is incumbent upon CEOs to ensure that anyone attending investor meetings from/with the company is appropriately dressed. What if they aren’t? Simple. Don’t let them in the meeting with you, and look for other service providers. Reading slides: Part II goes into considerable length about the appropriate construct of PowerPoint slide presentations, but even if you have a great presentation, the investor meeting is likely going to go poorly when a CEO effectively reads the slides to investors. 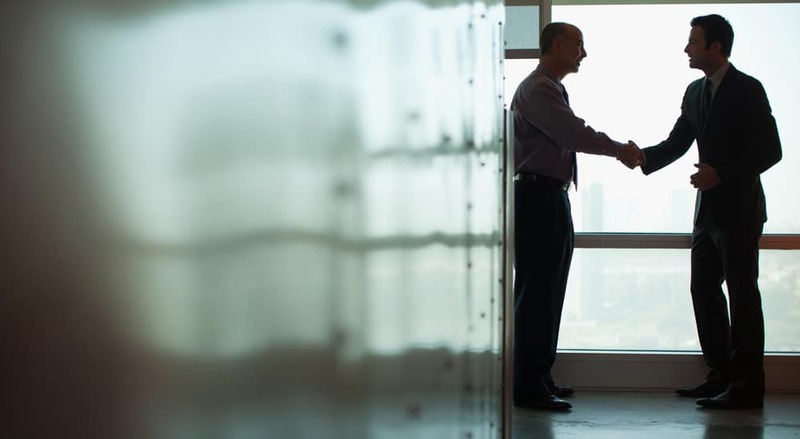 Investor meetings typically last 45 minutes, during which time CEOs have a brief window to make a connection with an investor. Connections with other people can’t be made when you’re ostensibly reading to them (never mind the fact that investors are capable of reading the very same slides). Second, and more importantly, when CEOs read slides to investors the reaction will always be the same: this CEO doesn’t understand their business, they lack confidence, and/or they are not a leader. Savvy investors will often tell CEOs who are reading slides to simply close their laptops, so they can speak conversationally about the company; those investors learn more about the CEO in the next minute or two than they would have in 2 hours of watching them read slides. Tone: While there are certainly domain experts in the small-cap buy-side realm, the majority of investors are generalists (this is particularly true with respect to the special situation investors that provide growth capital for small-cap financings). The result: the overwhelming majority of technology and life science CEOs speak miles over the heads of the average investor (this topic is covered in depth in other Small-Cap Institute pieces). In order to remedy this common problem, CEOs need to aim their prepared remarks to a considerably more basic level of understanding, and utilize investor questions to better gauge expertise, and respond accordingly. Why does this matter so much? Many investors will simply tune out companies they don’t understand rather than expend the effort to rectify the communications disconnect. It’s worth noting (as mentioned above) that if you’re reading slides, you’re likely to miss the body language clues broadcast by a confused or disinterested investor. Electronic devices: As one well-known small-cap fund manager recently told Small-Cap Institute: “Do people seated at conference room tables honestly think that when they text under the table, everyone else in the room doesn’t know what they are doing?” CEOs and service providers can’t possibly have an accurate rendering of the message it sends to investors when they use electronic devices during investor meetings – if they did, they would never do it. So, to clear up any ambiguities in this regard, when management or service providers in an investor meeting are using their electronic devices, experienced investors think: (1) the CEO doesn’t command the respect of their colleagues or service providers; (2) if others don’t feel they need to listen to management, why should I? ; and (3) management and their service providers lack professionalism. There is only one best policy regarding non-essential electronic devices in investor meetings: turn all of them off, and put them away for the duration of the meeting. It is every CEO’s job to enforce this rule. What’s said… and not said: When the Q&A portion of small-cap investor meetings begins, poor speaking skills become evident. Speaking “crutches” like “you know’s,” “uhm’s,” and “ah’s” are often so repetitive that investors lose focus on what is being said. When those crutches are compounded with broken eye contact, shifting positions, hands running through hair, and evident perspiration, investors all think the same things: (1) this CEO or CFO is unprofessional; (2) they don’t understand their business; or (3) they’re not being forthright. The solution is simple – record a realistic mock investor meeting (i.e., video doesn’t lie), and use the video to target speaking challenges that require improvement. Loose lips: Investors often purposely ask CEOs and CFOs questions that call for speculative answers, just to see how they respond. Experienced public company management teams respectfully decline to speculate. Instead, they use three integrity- building words: “I don’t know.” The moral of this story is simple: investors expect officers and directors to be careful, thoughtful communicators. Conspiracy theories: Naked short selling is real. Disingenuous short-biased hatchet jobs happen. So does lousy market making. That said, for every company that is legitimately affected by these issues, there are many more that waste incredibly valuable time and energy publicly attributing their company’s poor stock performance to illusory or conspiratorial fact patterns. When investors hear these ‘red herrings’ they have two reactions: (1) this is an executive who doesn’t understand capital markets (i.e., the overwhelming majority of these situations amount to little more than a greater number of sellers than buyers); and (2) this is a CEO that doesn’t take ownership of performance shortcomings. Know your shareholders: When CEOs can’t name the 5 largest shareholders, their holdings, and the last time they spoke to each of them, investors think: (1) this company doesn’t care about its shareholders; and (2) they are not going to care about me. There is absolutely no excuse whatsoever for any CEO not to get an A+ on this test. Shares vs. options: At some point during nearly every investor meeting, a CEO will be asked how many shares they own and/or when is the last time they bought stock in the open market. Why? Investors have learned over time that when CEOs take money out of their pocket and buy stock, they are more committed to success. Investors want CEOs and board members to have “skin in the game.” Here’s the disconnect in this regard: stock options or restricted stock are not considered “skin in the game” by any investor. There are few things that will engender more bad will with the buy-side than CEOs who attempt to characterize “skin in the game” as anything other than purchasing stock with cash. Remember, there is only one way that investors can acquire stock in your company… and that involves cash. Stock ownership: Easily one of the biggest misunderstandings of small-cap CEOs and board members is that investors only care when officers and directors buy stock in large quantities. This is 100% false. Investors care much less about the transaction size, and much more about the fact that purchases are being made. Moreover, remember that Form 4 filings (associated with insider stock acquisitions and dispositions) are universally broadcast to investors irrespective of whether a CEO buys $100 of stock or $1,000,000. The moral of the story is: insider buying is always good. Part 2 addresses the repetitive, critical mistakes that many small-caps make: (1) with PowerPoint investor slide presentations; and (2) when they describe the professional backgrounds of named executive officers (particularly CEOs).